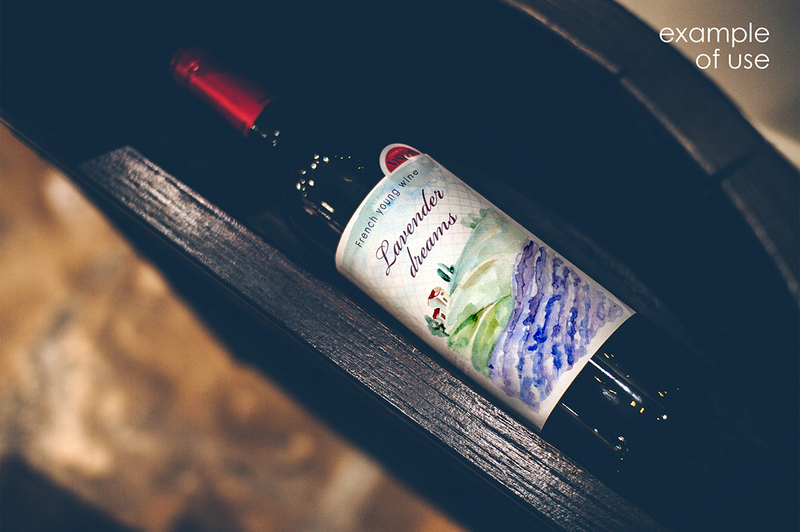 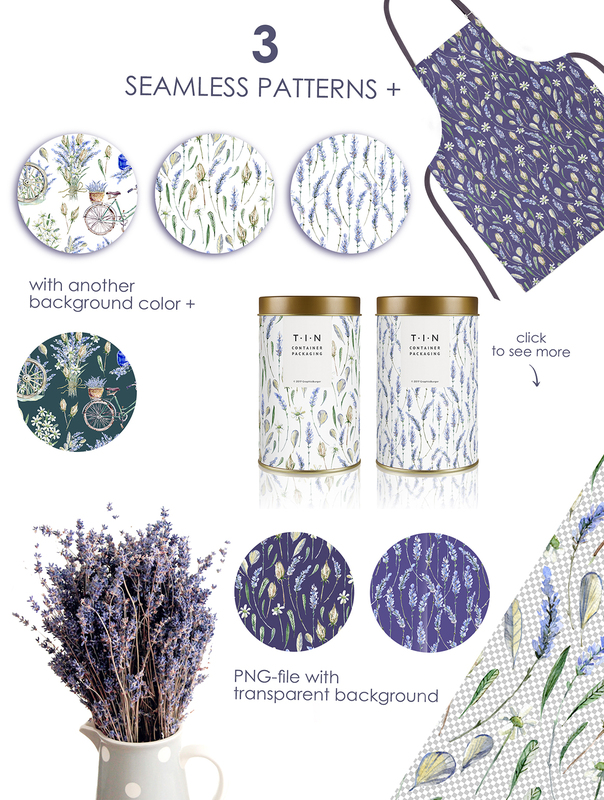 Make your own Provence atmosphere! 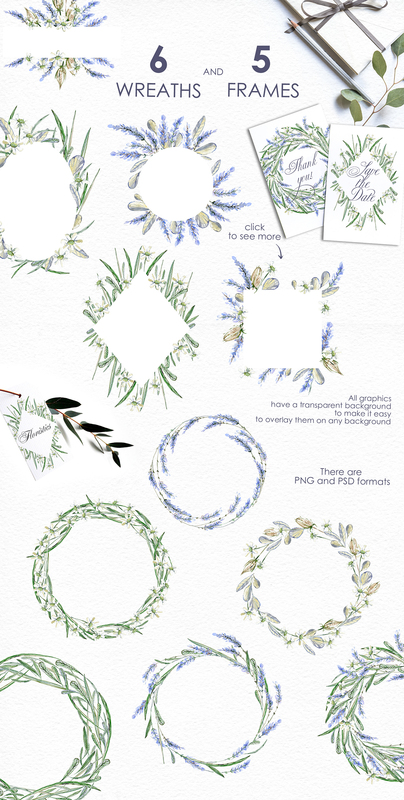 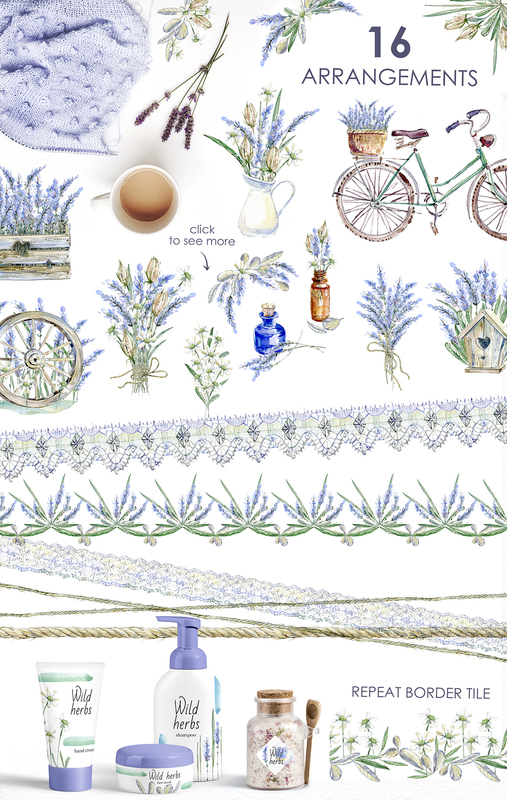 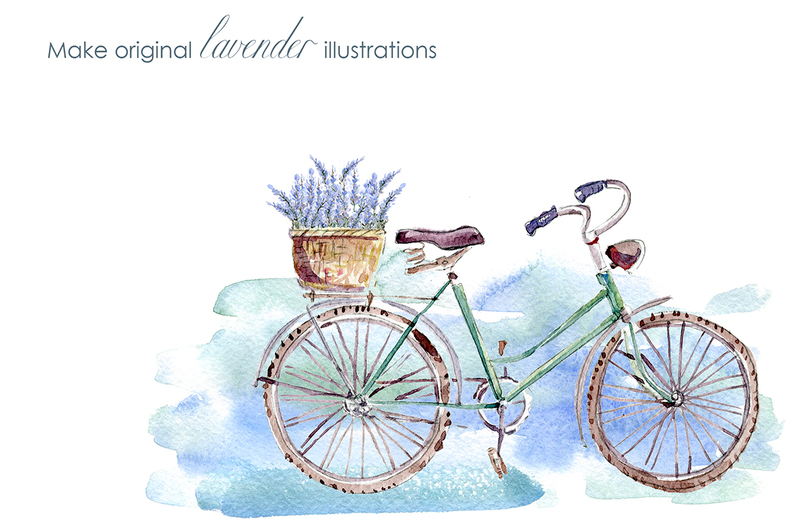 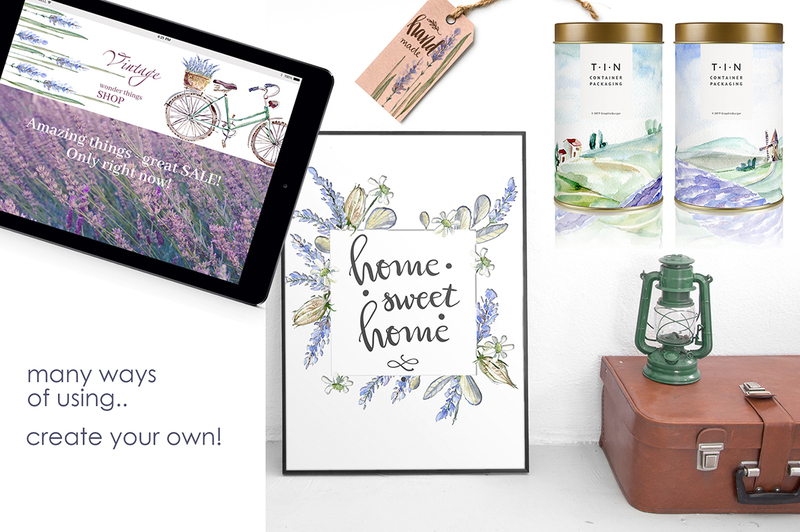 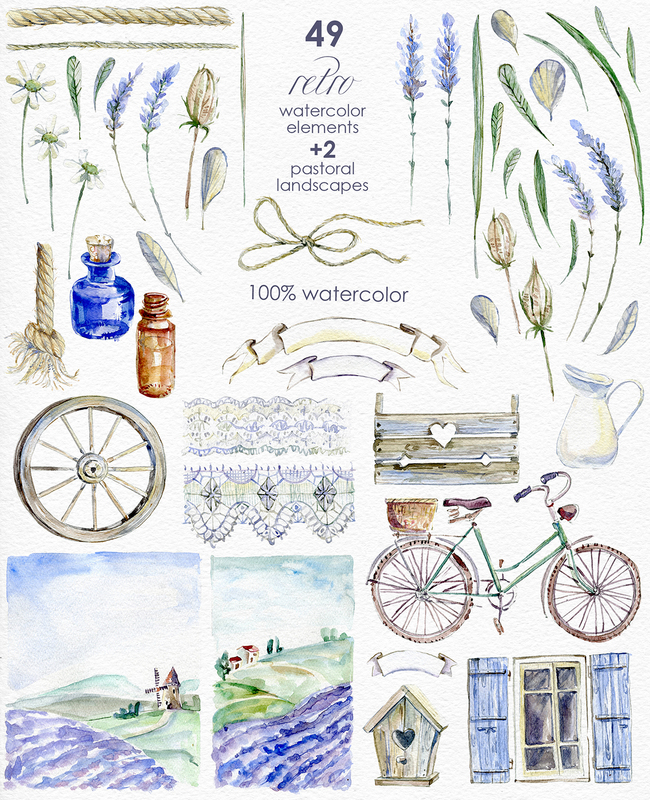 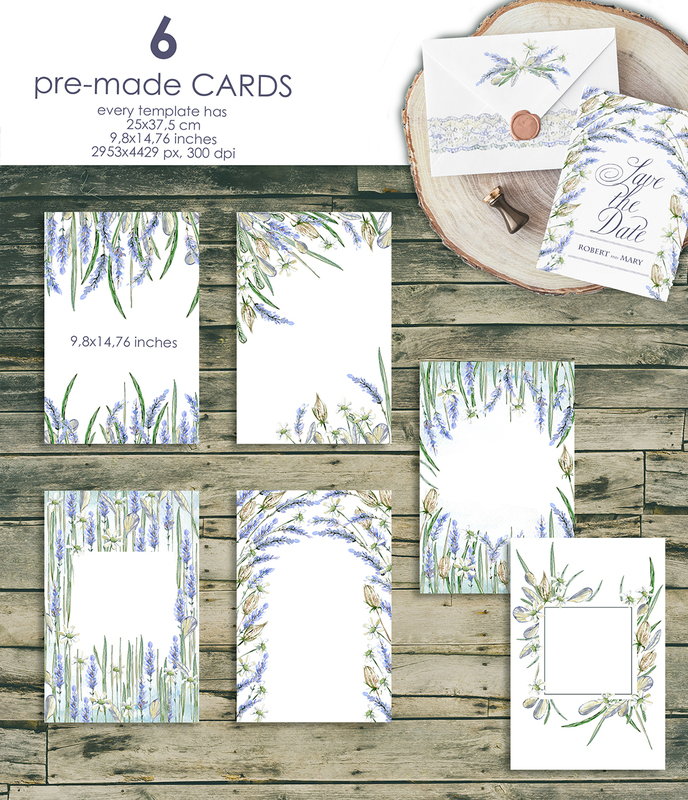 Lavender Watercolor Clipart Set is a large collection of hand drawn retro style lavender flowers, different compositions like bouquets, wreaths and frames, old-fashioned atmosphere things (bicycle, wooden box, a jug, a birdhouse …) It was inspired by Provence nature, interiors and fresh lavender air. 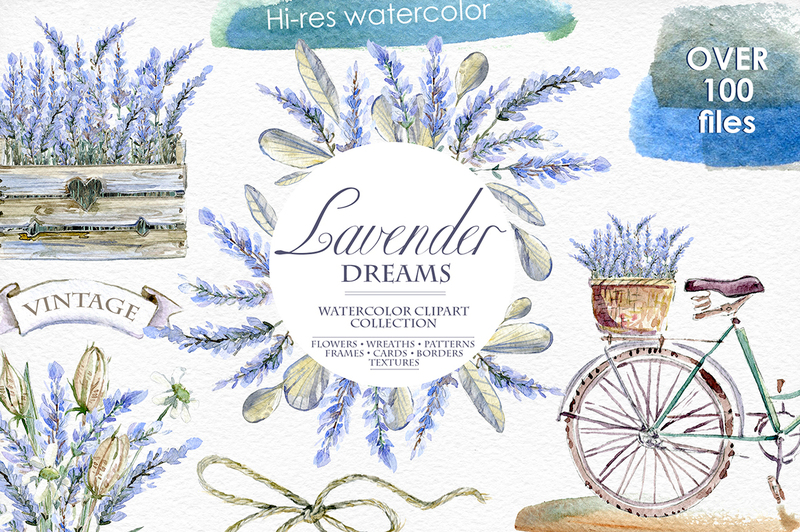 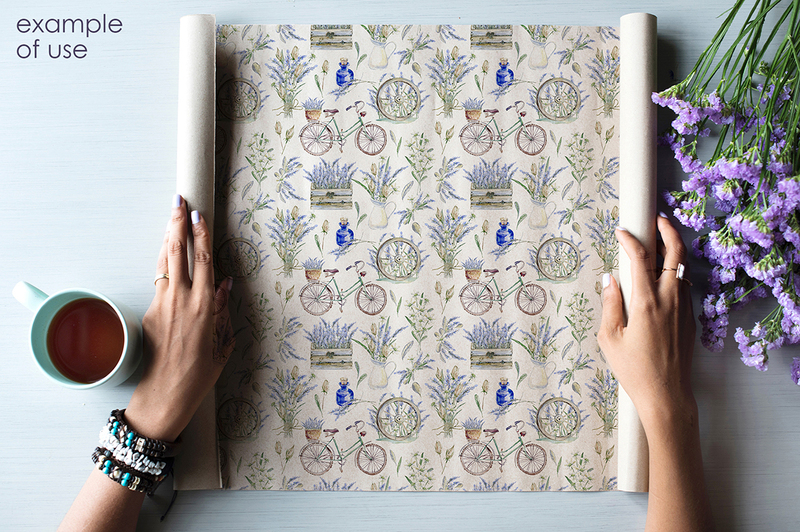 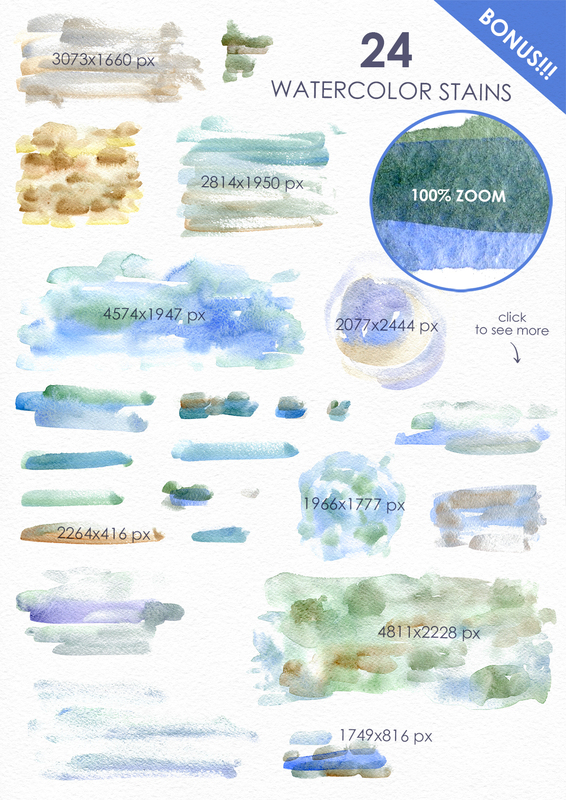 Ideal for elegant wedding design, digital projects, sites, scrapbooking, textile design and another projects.